St Mary's University College have lost their Sigerson Cup quarter-final to UCC by 0-13 to 1-6 in Ballykelly, Kildare. The Cork students led by 0-5 to 0-4 at half-time after a tight first-half played in heavy, wet conditions. Antrim's Brendan Herron scored a goal in the 44th minute to help the Belfast students draw level at 1-4 to 0-7 but UCC pulled away in the closing stages. 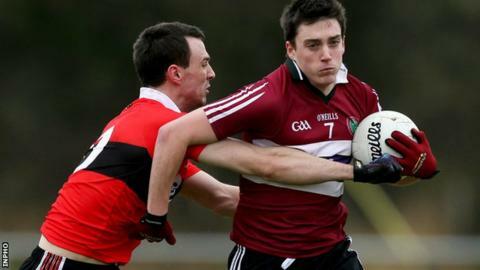 The result means there will be no representative from Ulster in the semi-finals of the Sigerson Cup this year.